It is always an interesting pleasure to listen to blues music performed by a non-U.S. band. One of the most appealing things about the blues is that it was born of many different styles of roots music and that it still travels the globe being performed, reinvented and interpreted by musicians from diverse nations. The blues continues to be a universal language – which is very refreshing in today’s world and very exciting for the growth of the musical genre. 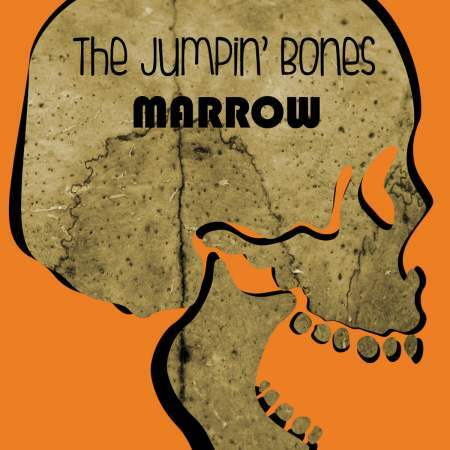 The Jumpin’ Bones are a rhythm and blues band from Athens, Greece. The band, as it presently exists, was formed in 2014 by three men who have been friends since childhood. They are: Orestis Tsikouris on vocals and harmonica, Dimitris Dakopoulos on guitar, Konstantinos Aloupis on bass and Spiros Gavalas on drums. Tsikouris, Dakopoulos and Aloupis played together in various bands during college. After years apart, they reunited in 2011 as The Blues Meanies, a self-described heavy blues-rock band. As the Blues Meanies, they played many clubs in Athens and released a promising song demo. Gradually, they transitioned towards rhythm and blues and away from blues-rock, adding drummer Gavalas and touring as The Jumpin’ Bones. They have gathered a following in the Greek blues scene, playing large clubs and festivals including a tribute to B.B. King and most recently the international Blues for Peace Project. 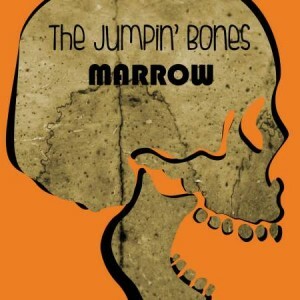 In the Fall of 2015, they recorded Marrow, an independent seven-song CD at Lizard Sound Studios in Athens, Greece. When presented with this unique CD, which you must pull from a skull’s jaw to play, your curiosity is sparked as to what listening experience the music will provide. The packaging is quite alluring, with a bare skull on the front, the CD – biting jaw inside and stark colors of orange and black. The music is quite a treat, best described as a raw throwback to early sixties rockabilly with a twist of jump blues and boogie. 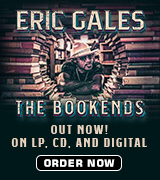 The CD has a strong connection to the Door’s blues sound, especially “Little Big Man” which is reminiscent of “Roadhouse Blues” and “Love Her Madly”. Even Tsikouris’s deep, emotive vocals are similar to Jim Morrison’s sound. The skill of Tsikouris ‘s harmonica playing and the great harmonica riffs in the songs are the unifying force in this CD. He plays the harmonica almost like a slide guitar, it glides and soars through the songs and pulls perfect notes out just long enough to hold on and ride with him. The first track on the CD, “T.I.N.A. Boogie”, with a bouncy boogie beat, strong vocals and hopping harmonica riffs, is a perfect lead-in to the rest of the tracks. On top of the skilled rockabilly and boogie drumming of Gavalas in songs like “Gonna Have to Pay” and “Stop Worrying Babe”, the CD has a very enjoyable, throwback sound. This is pretty much what the CD delivers, a nice trip back to the early sixties. All of the songs were written by the band members except for the “Spider-Man Theme” which has been spun into an old school boogie number with catchy harmonica riffs and a beat that holds on like a fly in a web. This one will stick with you for awhile. One of the strongest songs on the CD, “Hell I Feel Alright”, written by Aloupis (the bass player) has a sticky, swampy intro. It is a slower song with a bass line that does an excellent job of balancing the drums and guitar playing under lyrics that plead “I’ve got nothin but my heart”. This song creatively mixes styles while delivering the blues. “Drummers Heart Blues” is a colorful track. The song tells the story of a drummer who had an “island girl” steal his heart. The drumming in the song is used for emotive effect with transitions and tempo changes that blow the harmonica solos into blues’ bliss. For the band’s first CD, this is a very enjoyable and worthy effort. The sound at some points is more garage-band than stage suave, but that isn’t necessarily a bad thing. It is refreshing to hear a band re-creating the raw, early sixties rocksbilly sounds and even earlier jump blues and boogie blues. 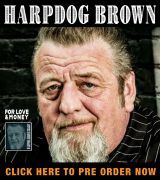 The feel is fresh, the harmonica is excellent and the CD delivers seven songs you will want to listen to again. The CD is available on Amazon.com, iTunes, SoundCloud, Spotify and Bandcamp.